change, no mess, sealable true HEPA filter canister. Ideal for large volumes of dry chemical, asbestos, mold, lead paint dust, or other hazardous particulate. 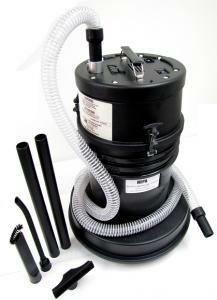 To meet the RRP standard, this vacuum must have an air driven turbo brush. They are sold separately and can be purchased below under "recommended accessories" or here. 110V Model, 50/60HZ, 628 watts.